NIGERIANS opened 6.5 million savings accounts in the first quarter of 2018, Q1’18, reflecting the impact of the financial inclusion campaign by banks and the Central Bank of Nigeria, CBN. However, the number of inactive bank accounts rose by 1.6 million or 4.3 percent to 38.3 million during the period from 36.7 million in Q4’17. Inactive bank account is an account not operated for two years, while a dormant bank account is an account that is not operated for more than two years. Analysis of data on banks’ customer accounts as captured by the Nigeria Interbank Settlement System, NIBSS, for Q1’18, showed that number of savings account increased by 6.5 million or 8.7 percent to 81.1 million in Q1’18 from 74.6 million in Q4’17 while the number of current account rose by 8.0 percent to 24.2 million in Q1’18 from 22.4 million in Q4’17. While the number of bank accounts increased by 8.1 million or 8.1 percent to 108.3 million from 100.2 million, the number of active bank accounts rose by 6.5 million or 10.2 percent to 70 million in Q1’18 from 63.5 million in Q4’17. The NIBSS data also showed that the number of individual bank accounts rose by 6.1 million or 6.5 percent to 99.3 million in Q1’18 from 93.2 million in Q4’17, while corporate accounts grew by 1.4 million or 23 percent to 7.4 million from six million. Furthermore, number of active individual bank customers rose by six million or 10.2 percent to 65 million in Q1’18 from 59 million Q4’17. The increased number of savings accounts, according to banking experts who spoke to Financial Vanguard, reflects the effectiveness of the financial inclusion efforts of banks. According to Dr. Uju Ogubunka, President, Bank Customers Association of Nigeria, BCAN, “There are two possibilities. One is that those people who have some money in a current bank account that is not yielding any interest or that is yielding an interest that is lower than that of the savings account move their money to a savings account to earn more interest. “The second is that the financial inclusion strategy we have been talking about and promoting is yielding positive returns on the banks. People are now cautious that they have to save their money no matter how small to prepare themselves for the rainy days. 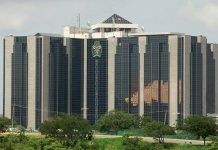 On his part, National President, Association of Mobile Money Agents in Nigeria, AMMAN, Mr. Olojo Victor, noted that the introduction of the three-tiered KYC requirements by the CBN, with the objective to promote and deepen financial inclusion, increased Nigerians’ patronage of banks thereby making them open the Level one account with less stringent requirements. 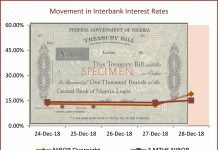 “The ease of opening account has actually been made effective for people because of the introduction of the three-tiered KYC requirements by the CBN where less stringent requirements are been demanded on opening of account. The requirement to open a savings account is basic. This means that you might not need a Bank Verification Number or a National Identity card. There is something called the Level one or low value account which many banks have embraced. Next articleScramble For African Startups By Venture Capitalists: Yay or Nay?